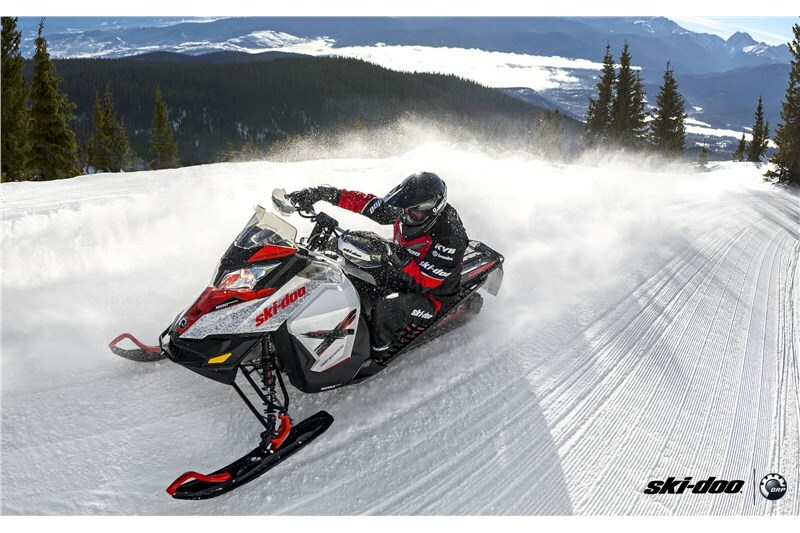 With a robust shock package, a host of race-inspired features and the capable and comfortable rMotion 137 rear suspension, the Renegade X is a rough trail riders dream. 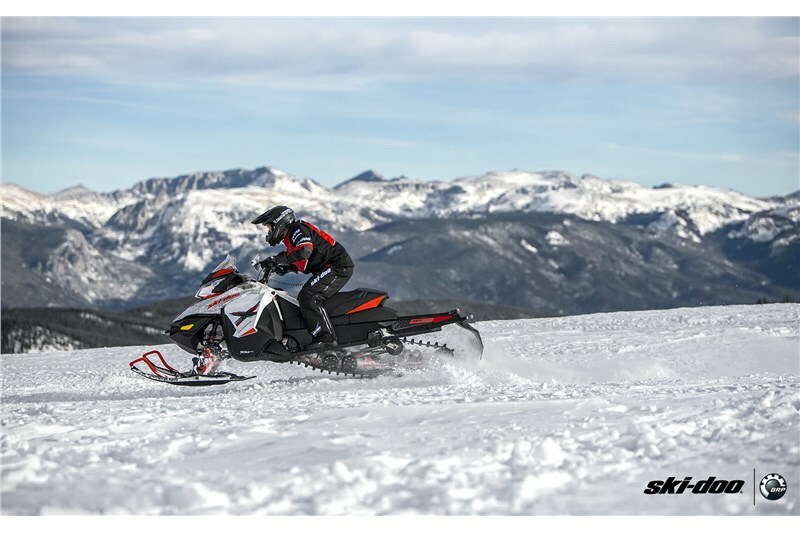 We further sharpen the industry’s best handling snowmobiles. New geometry and lighter components increase precision, especially in extreme bumps. Sharp new styling, too. Reduces weight by 1.76 lb (0.8 kg). Running-board-mounted controls for rear suspension spring pre-load and rear shock compression damping make fine-tuning fast and easy, even with gloves on. Increases spring preload adjustment range by 40%, with infinite settings. 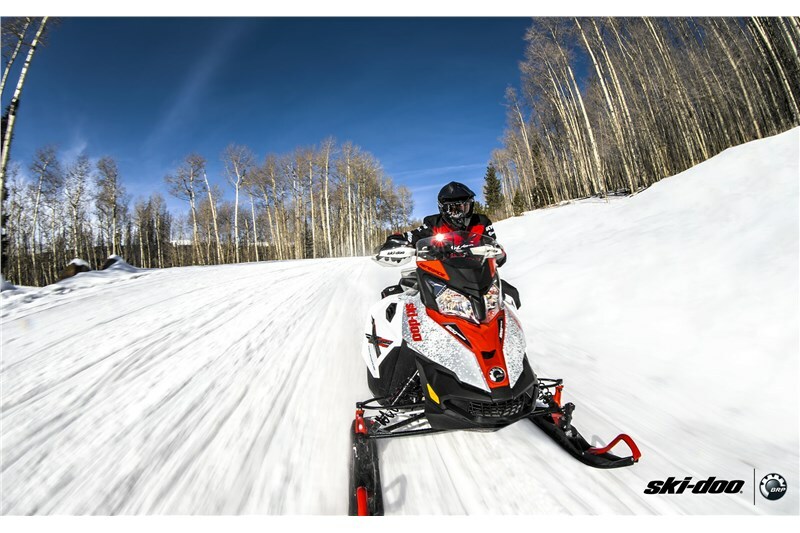 With the Pilot TS ski, you can dial-in ski bite for conditions or your riding style by turning a knob on the ski leg. It raises or lowers the ski runner over a range of .5 in. (12.5 mm). This thin runner and new square keel design work together to make darting a thing of the past. The Pilot TS ski is available as a Spring order option with the Adjustment Package. 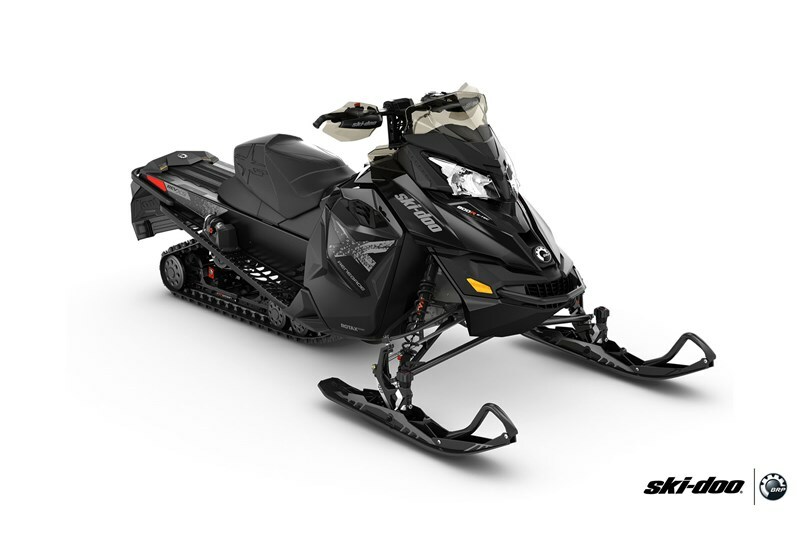 This option includes rMotion Quick Adjust system with no-tool tuning of the rear spring preload and shock compression damping on the running boards and new Pilot TS adjustable skis. 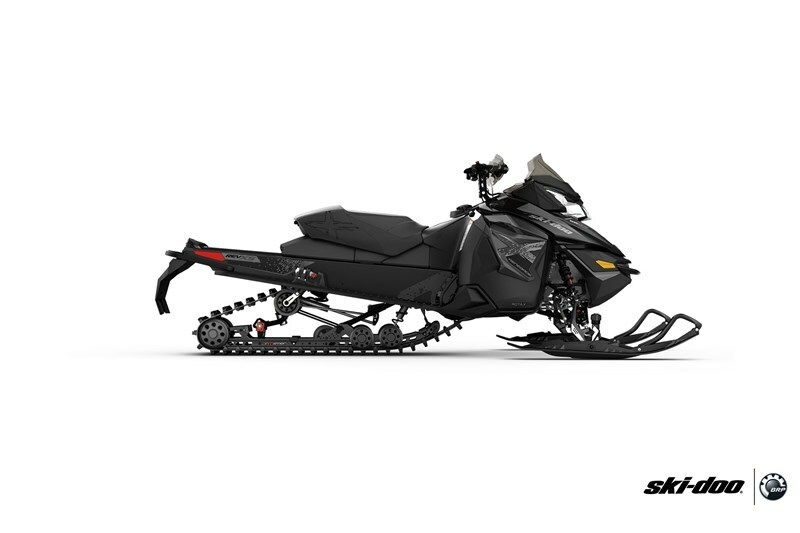 This option includes rMotion Quick Adjust system with no-tool tuning of the rear spring preload and shock compression damping on the running boards and new Pilot TS adjustable skis. Available as a Spring Order option on select models*. 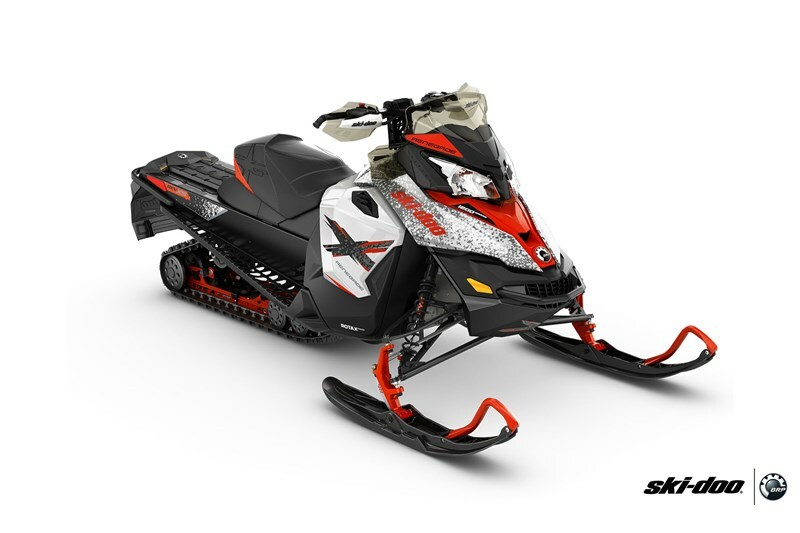 *On Renegade X-RS, Renegade X, MXZ X-RS and MXZ X.
Lightweight and very capable aluminum shocks. Wide range of adjustability with rebound damping adjustment and rebuildable/revalvable design. Race-proven aluminum shock with no-tool compression damping adjustment. Sharply-styled analog speedometer and tachometer are complemented by a multi-function three-zone LCD screen packed with data.